Snow and ice removal is a completely different beast from the rest of a landscape contractor’s services. It demands a quick turnaround in tough conditions, requiring companies to have reliable equipment at the ready—because a snowstorm waits for no one. Beyond being up for the job, the equipment also has to work for the business financially. 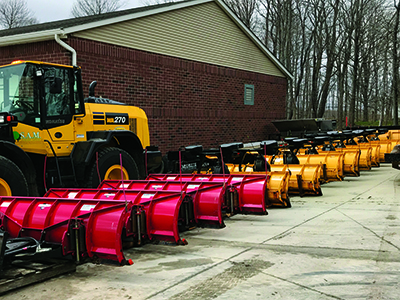 To ensure their snow equipment is resulting in a profit, these three owners found ways to become more efficient with their purchases. It can be difficult justifying a large equipment purchase when it will only be used during the winter months. That’s why Kris Holland, owner of Black River Landscape Management in Randolph, N.J., looks for versatile machines or factors the cost directly into his bids. His $2-million company provides snow removal, landscape construction, tree and shrub care, maintenance, irrigation, gutter cleaning and lawn care services. The company’s snow removal services are 100 percent commercial, maintenance is split evenly between residential and commercial and construction is nearly all residential. The crews use snow plows, snow blowers, salt spreaders, skid-steers, trucks and compact loaders for snow and ice removal, opting for equipment that also will work for the company’s landscape construction services, when possible. Holland prefers to purchase equipment. However, the company has a rental arrangement with John Deere when it needs a larger piece of equipment, and it’ll budget the rental equipment costs into the bid. He says he’s noticed a trend of manufacturers looking to make advancements with their equipment and attachments, including creating snow boxes that can back drag and perform different tasks. Holland says he’s also seeing more contractors using motorized equipment for walkways. “Every day, there’s something new to do something better,” he says. At some point, a piece of equipment outlives its profitability and needs to be replaced. Chris Speen, owner of Twin Oaks Landscape in Ann Arbor, Mich., has implemented a process to track lifespan and purchasing costs. Speen’s team offers design/build, maintenance, drainage, irrigation, bed care, fertilizer and snow removal services. With an annual revenue of $2.4 million last year, the company serves both commercial and residential properties. The company uses snow blowers, plows, trucks, skid-steers, salters and compact utility loaders for its snow removal services. It adds new snow equipment every year, replacing pieces when they begin to cost more to service than they are bringing in. Speen uses ProfitLion landscape management software and data history to view and predict key factors that will lead the company to buy other equipment. Speen is also director of sales for ProfitLion. For example, the company is able to see how long the equipment lasts using historical data and, as a result, how much the piece is costing per year. That helps the team determine how to move forward with future purchases. When making a purchase, he also considers the equipment’s price, warranties and what others are saying about it. “I’m looking for a brand name that backs the equipment,” Speen says. The company also rents some of its snow removal equipment. “We do so many homeowner associations (HOAs) that it’s better for us to put the rental of the skid-steer in the job as a direct cost,” Speen says. Twin Oaks tries to rent the equipment from landscapers that don’t offer snow removal services and aren’t using it during the winter months. When that’s not possible, the company gets the equipment from rental houses. Speen says he avoids leasing because he can only write off the payment and not the equipment itself on taxes. For Steve Moore, co-owner of S.A.M. Landscaping in Chardon, Ohio, purchasing decisions come down to what’s going to work best for each property. 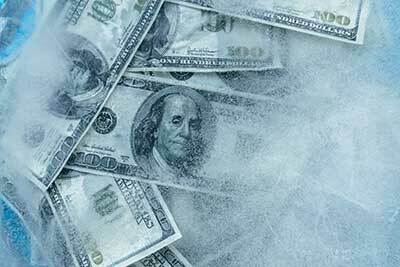 The $2.5-million company provides snow and ice management to a 90 percent commercial and 10 percent residential clientele. The company provides snow removal for retail plazas, banks, restaurants, doctors’ offices, industrial properties, HOAs, supermarkets, private roadways, hospitals and government sites. It also offers landscape maintenance, design/build, landscape lighting, irrigation, corrective drainage, enhancements and fertilization services. During the winter, S.A.M. runs a crew of about 28 to 30 members and uses equipment and attachments including pickup trucks, dump trucks, snow plows, skid-steers, push boxes, wheel loaders, tractors and snow blowers. All of the salt spreaders and dump bodies are made of stainless steel. While the upfront cost adds up, Moore says it’s well worth the investment. He’s a big advocate for buying equipment—as opposed to leasing or short-term rentals—and looks at the machine’s reliability, ease of maintenance, history and if it’s working for others in the industry. Price isn’t the driving force behind his purchasing decisions, he says. Instead, Moore focuses on quality and dependability. The company has seen significant growth in the snow market in recent years and has purchased snow and ice equipment as needed to match that demand. An important part of Moore’s purchasing process includes looking at the size of the commercial account and its revenue stream to determine the most efficient piece of equipment to manage the property. Moore uses LMN software for the estimating process, crew tracking and scheduling different aspects of the business. Moore encourages contractors to look at how the equipment works, how to maintain it and how to service it before making a purchase. “There’s no worse feeling than a breakdown and not understanding how a piece of equipment functions,” he adds. 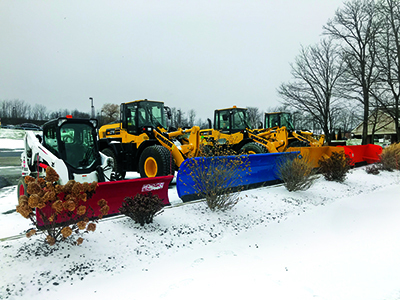 One trend he’s noticed with equipment is contractors are starting to make the switch from 7½- and 8-foot straight plows to extendable options. It’s all about becoming more versatile.